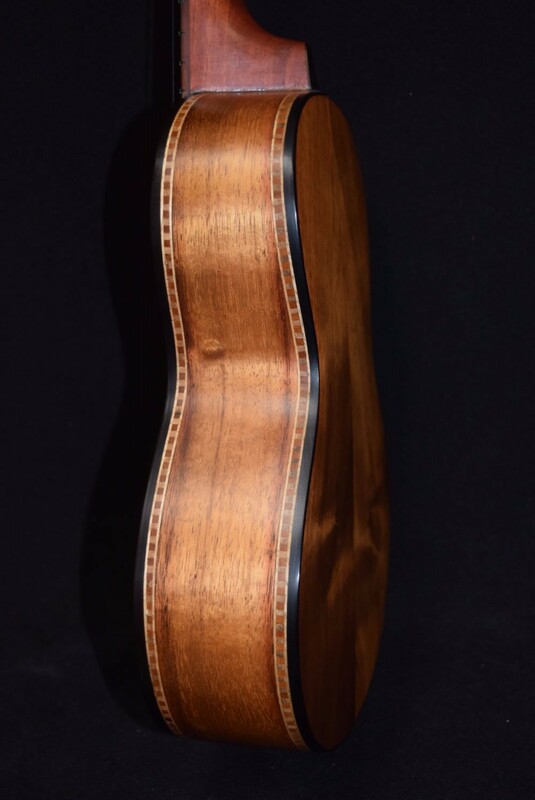 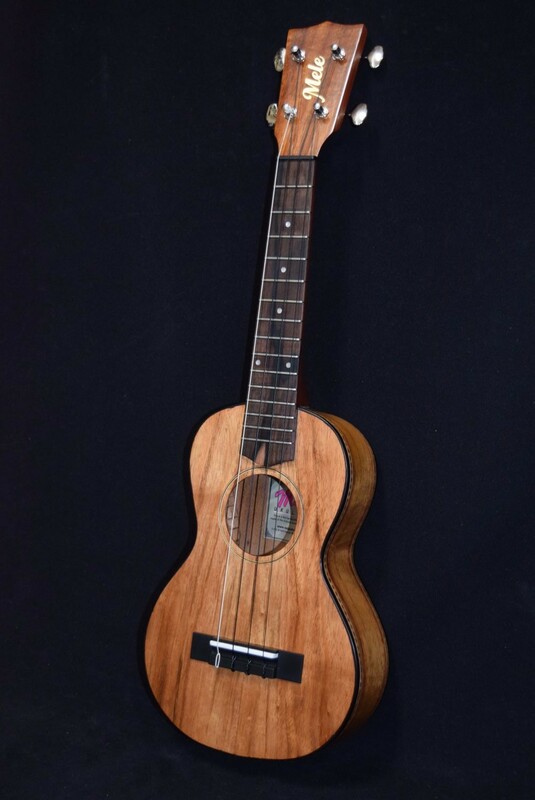 The Concert-sized uke (23″ long) is the size between the soprano (21″) and the tenor (26″). 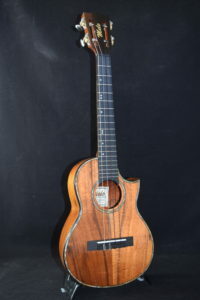 15 frets, great tone, but still nice & portable! 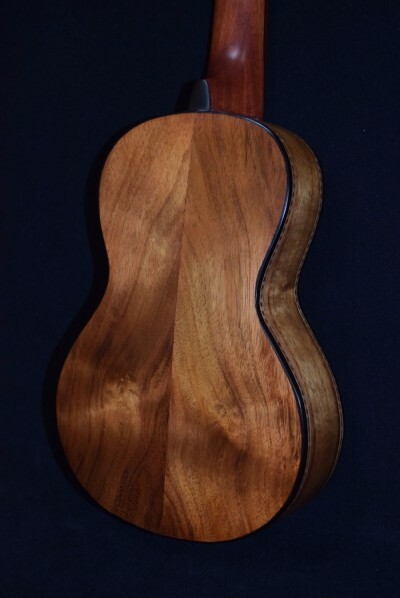 Hand-cut & hand-graduated Big Island koa wood top, back & sides. 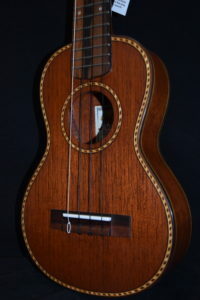 Hand-cut ebony fingerboard & binding. 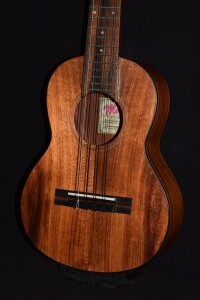 Die-cast, nickel-plated, 18 to 1 super smooth geared tuners. 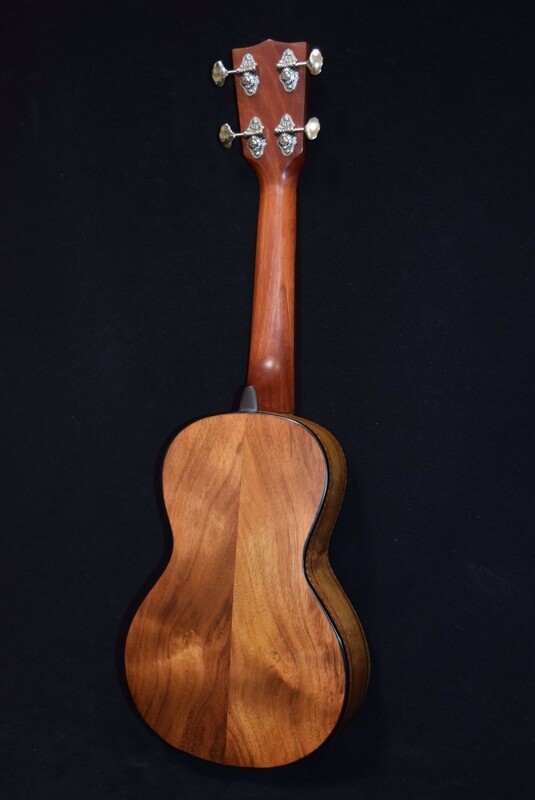 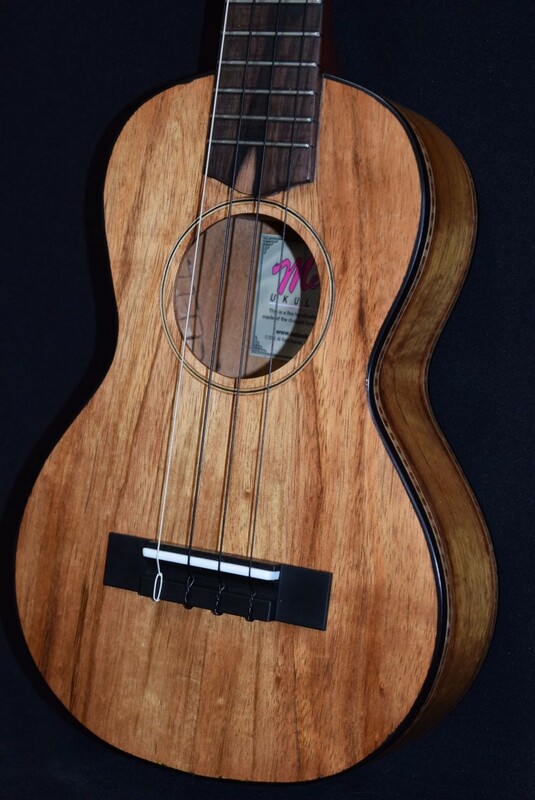 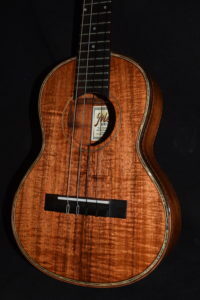 Entirely handmade from genuine Hawaiian koa wood with a strong, stable mahogany neck, for an incredible sweetness of tone and beautiful appearance.